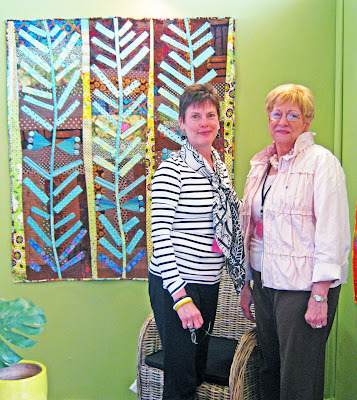 The language of thread and fibre is clearly an international language. Recently I had the pleasure of attending "Pour L'Amour du Fil" (For the Love of Thread), an international exhibition of quilts and needlework, held in Nantes, on the westwern coast of France, from April 27-30. Having only 2 days at the exposition, it was very difficult for me to choose which events and courses to partcipate in. There were so many excellent opportunities, but only limited time. 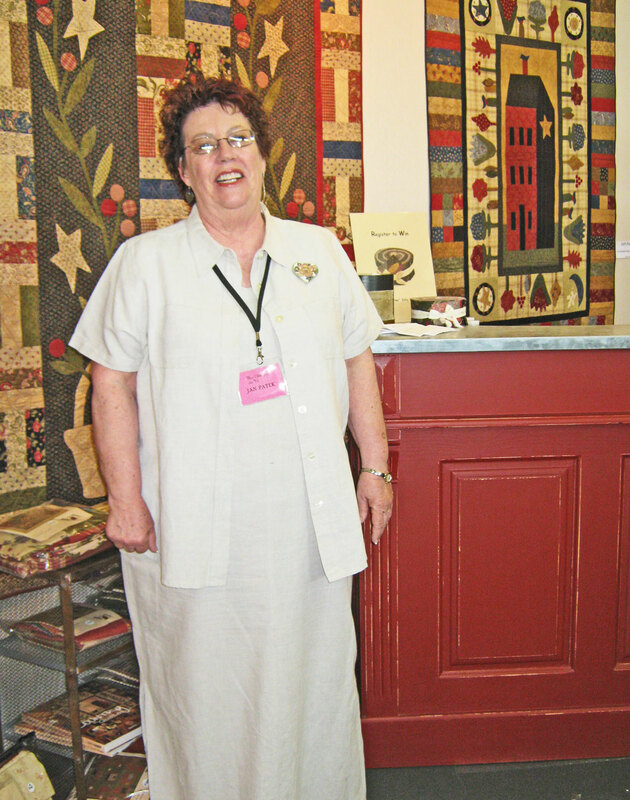 After some deliberation, I chose to spend one day in a course learning about the traditional technique of "boutis" with Hubert Valeri, and the other day I chose to spend enjoying the gallery of quilts on display by some very talented quilters and needleworkers. 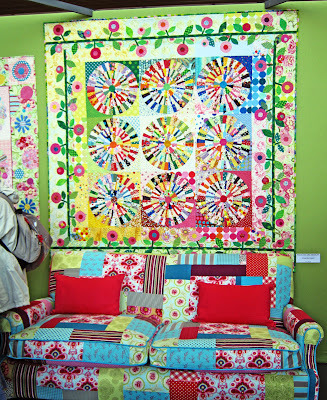 Among the quilters who had their work on display were the "Piece O' Cake" gals, Linda Jenkins and Becky Goldsmith. The room showcasing their work was energized with a brilliant vitality. Jan Patek was also there with her warm and cozy "Little House on the Prairie" exhibit, as were many other talented quilters from all parts of the world. 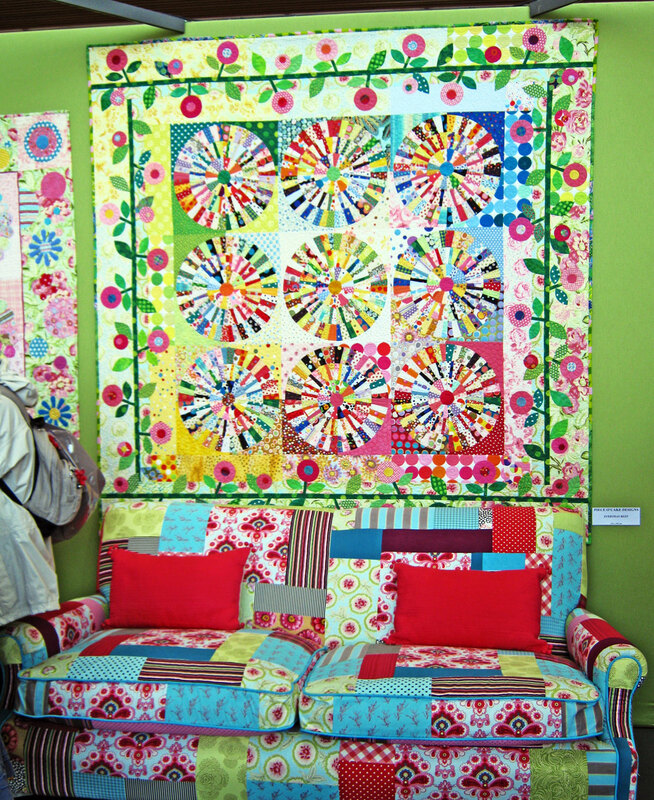 The show is sponsored by "Quiltmania", a vibrant French quilting magazine, that is now also being printed in English, and available in North America. (It's well worth looking for.) 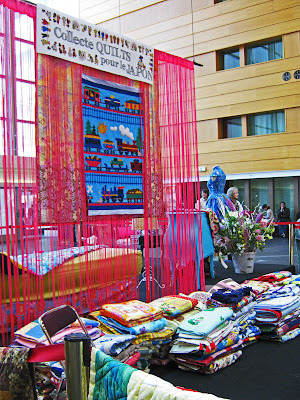 And the vendors came from all parts of the world as well, selling products for every possible quilting need. What Fun!